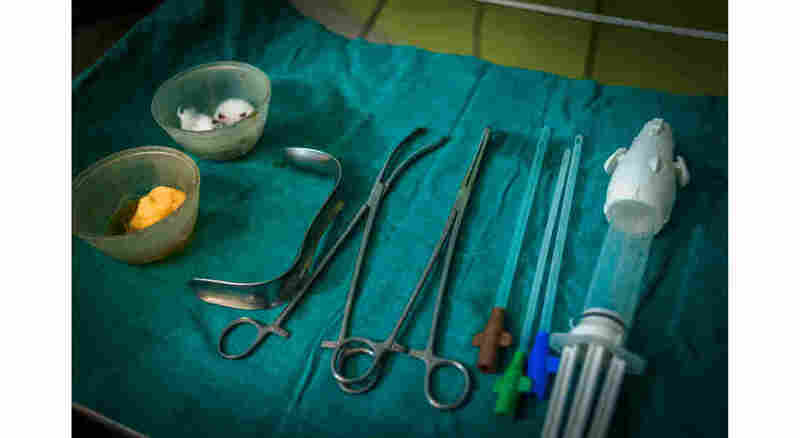 A Haven In A Land Of Unsafe Abortions In India, abortions are legal. But women are often afraid or ashamed to seek an abortion. And for rural women, there may not be a facility nearby. Here is the story of one woman's decision. 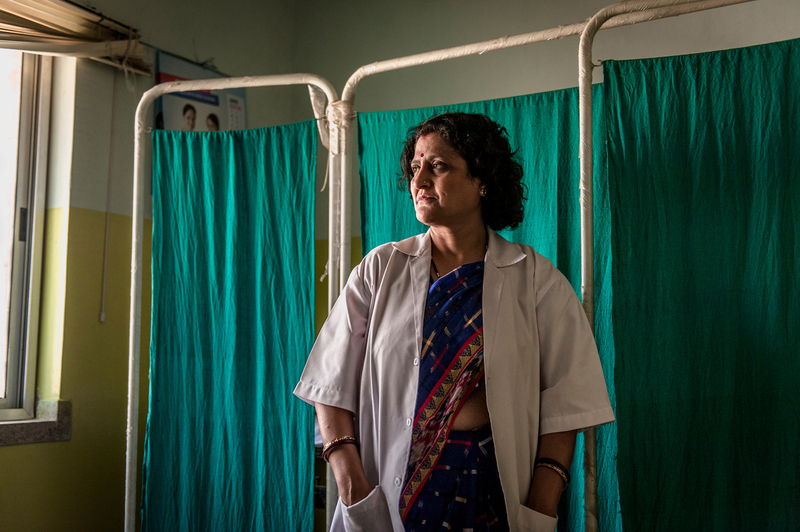 "In my village abortions do happen, but women hide it, they are ashamed of it," says Palo Khoya. "They worry that people will say nasty things." Khoya is one of the four women pictured above (top right). They have come to a small abortion clinic in Khunti, in the eastern Indian state of Jharkhand. Abortion is legal in India. 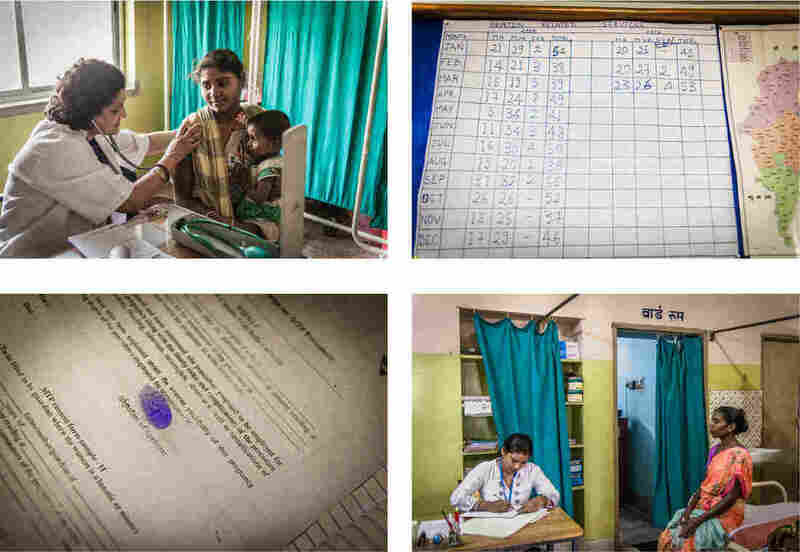 The government has built clinics to serve poor rural women like Khoya. But there are simply not enough facilities. Jharkhand, home to 31.9 million people, has three. So Indian women often turn to a quack or a midwife or other dangerous options. As a result, an estimated two-thirds of India's abortions are unsafe. Each year, some 4,600 women die after a procedure; others suffer complications that haunt them for the rest of their lives. 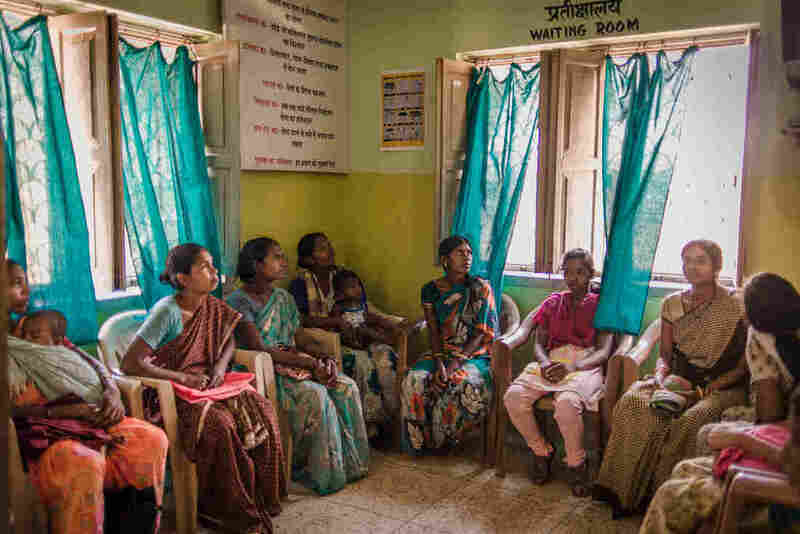 NPR sent documentary photographer Poulomi Basu to spend time at the clinic in Khunti for a window into the world of legal and safe abortion in this remote part of India. Palo Khoya agreed to be photographed during her visit. It may be hard for a Westerner to understand why she was willing to be photographed at such intimate moments, in a country where people say nasty things about women who have abortions. Her doctor, Simmi Mahesh, explains that there is a bond between doctor and patient: "They do trust me, and that could be a reason." That trust would extend to the photographer who is working with the doctor. Also, Palo Khoya spends her life in a remote village, coping with day-to-day challenges. The Internet is just not relevant. Dr. Simmi Mahesh is the main doctor at the clinic, which opened four years ago. It now reaches out to 100 villages, up from 77. 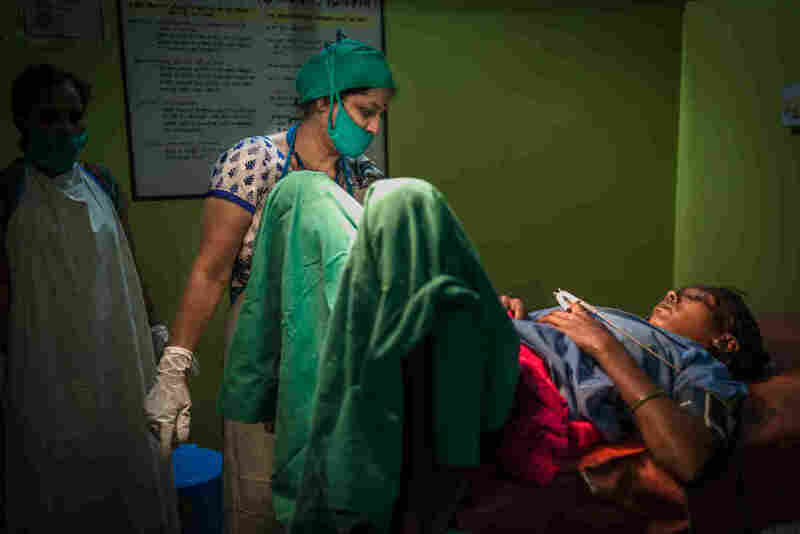 Palo Khoya, in the operating room, explains her decision: "I got an abortion because I have two little children and I would like them to grow up a little more before I can think of conceiving again and have a third and fourth child," Khoya said. Poulomi Basu is a documentary photographer based in New Delhi, India. She is part of the VII Photo Agency Mentor Program. Rhitu Chatterjee provided additional reporting.